In a very limited number of UK locations (Scottish Islands, Scottish Highlands, Isle of Man, Channel Isles, Scilly Isles), we will try our hardest, but the delivery service is likely to be an extra day - it’s still free though! If you change your mind within 30 days of buying a tool, not a problem (assuming the tool has not been used and is in its original packaging) - call us on 0333 004 3000 or email us at [email protected] and we’ll contact you to arrange collection. 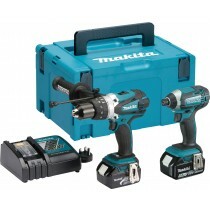 Once the tool is received back, we will refund the cost of the tool less a £6 collection charge. If the tool is faulty within 30 days of buying it, we will arrange for its collection at no cost to you and supply a replacement. If the tool is faulty after 30 days of buying it, and before the expiry of the manufacturer’s warranty, we will guide you through the manufacturer’s warranty process. Love it, great combo allowing me to breeze through tasks with ease and more than enough power to get even the most difficult job done and the 5.0Ah XR Li-Ion batteries give extended run time which mean less faffing with the changer and not much difference to the overall weight, the LED visual battery indicator is very useful. 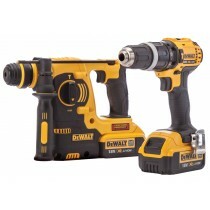 I've wanted a good quality impact driver for a while and the this one is the business, have to say paying the extra for this over one over the other Dewalt drill/impact driver kits was well worth it, better batteries, brushless motor, ultra compact for really tight spaces and lights that are more powerful that my LED torch, two speed all metal transmission to withstand tough working environments and the Tstack case allows me to combine my other tools in one carry option, paying a bit extra will save you money in the long run. Great so far. If it last like the last set then I’ll be happy. The best price - quality! 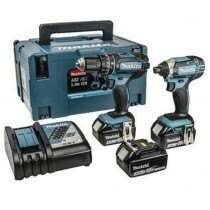 Good quality product, very reasonably priced compared to other websites. Had no issues with delivery compared to previous sites where I have previously used when it has taken longer for item to arrive. Very powerful, it is great choise. I have only used them for a few days and so far I am very pleased. Great product. Trade rated although I am a advanced DIYer. 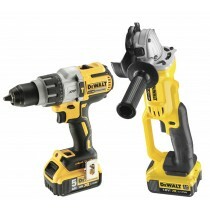 I have always purchased dewalt tools.good quality reliable and can endure hard work .